Recently a beautiful little girl needed to be cared for here at GSF. She is probably a little over a year old. 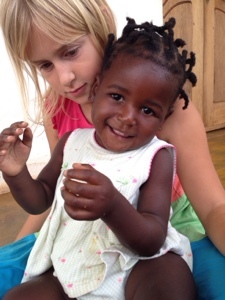 Please pray for this little girl and the house moms who are caring for her as she adjusts to life here. Each time a new child comes, it is a combination of sadness and joy. Sadness about the reasons they had to come here, but joy that they are being cared for here and trusting that God is working for their good in the midst of all this brokenness.